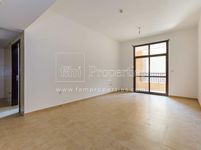 1BR apartment for sale in Silicon Oasis! Silicon Oasis is a free trade zone area in Dubai that sprawls over 7.2 square kilometers and has a wide set of apartments for sale scattered around its residential developments. The area is made to be a vibrant business hub in the Middle East and North Africa where businesses can freely open up venues and enjoy a massive set of incentives. Established in 2004, the Silicon Oasis is a totally business-friendly ecosystem where financial institutions can nurture and grow. The community design considered all human aspects for companies workers by offering affluent residential developments very suitable for young professionals, small families, and big families looking to live near their work. The project has many residential communities like Silicon Gates, Arabian Gate, Axis Residence, Palace Towers, Topaz Residence, and Al Falak Residence. Located in a strategic location, the project is well suited for all residents as they will reach any destination in Dubai in only a couple of minutes, the project lies right off Sheikh Mohammed bin Zayed Road, it’s adjacent to Dubai - Al Ain Road, and it has direct access to Emirates Road. Moreover, it’s surrounded by many university and educational institutions including Zayed University, Academic City, Herriot Watt University, and other. Residents of Silicon Oasis apartments will find all facilities they need around including schools, universities, health centers, and hospitals. 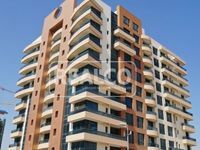 Apartments for sale in Silicon Oasis range in style between studios, regular apartments, penthouses, and duplexes. They also vary in size to fit all requirements, there are small studios, one-bedroom apartments, two-bedroom apartments, three-bedroom, and four-bedroom apartments. Big families will definitely find what suits their requirements especially large ambience and facilities. Buying an apartment in such a growing community is definitely a profitable decision that is worth considering. The average rental revenue in any of SIlicon Oasis’ units revolve between 10% and 12%. They also appreciate in value by more than 12% per year. Prices of studio apartments in Silicon Oasis start from AED 369,000 while the average price of two-bedroom apartments is AED 815,000. There are furnished and unfurnished units, unfurnished apartments are definitely more affordable, yet furnished ones are more likely to get snapped up by tenants. Many of the apartment buildings in Silicon Oasis have access to amenities like swimming pools, saunas, steam baths, gardens, BBQ areas where families can gather and enjoy BBQ, fitness gyms, and many other. The project also has expanses of lush greeneries and parks offering cycling and jogging pathways. Masterplanning of Silicon Oasis is made with great emphasis on fulfilling residents’ requirements, it kept in mind residents, who are the core element of this community, and their aspiration of top standard style of living. 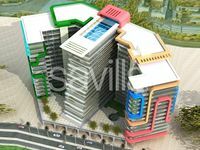 Just Property is the first destination where you should go to check apartments for sale in Silicon Oasis. Its property lists boast large array of options to meet all demands. 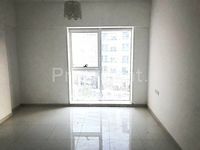 Each featured apartment has a set of images and a list of its specifications. Once found what you want, call the real estate agency to get more information about the apartment or to book it.